Classic Guttridge Single Story Home located in a court! When you enter thru the front double doors you will feel the light and spacious flow of the home. Wonderful large living room. Kitchen & Family Room has open concept and has a cozy brick fireplace. Plenty of room with 4 bedrooms & Office/Den that could easily be used as 5th bedroom plus 2.5 baths. Generous size laundry room with the half bath. Recently remodeled/upgrades include HVAC, flooring, kitchen & baths, interior doors, ceiling fans, baseboards, dual pane windows and interior paint. Master Bedroom has walk in closet plus access to backyard. Master Bath has separate tub and shower with double sinks & a skylight. Enjoy the low maintenance front yard with expanded driveway, RV access / parking for your toys! 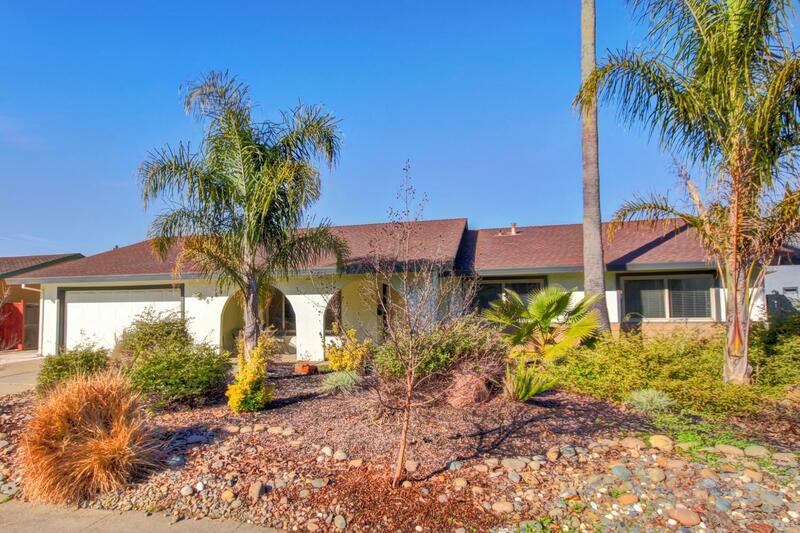 Close to shopping, restaurants, schools, parks, easy freeway access. Many errands can be accomplished without a car. Don't miss this opportunity to call this home yours!